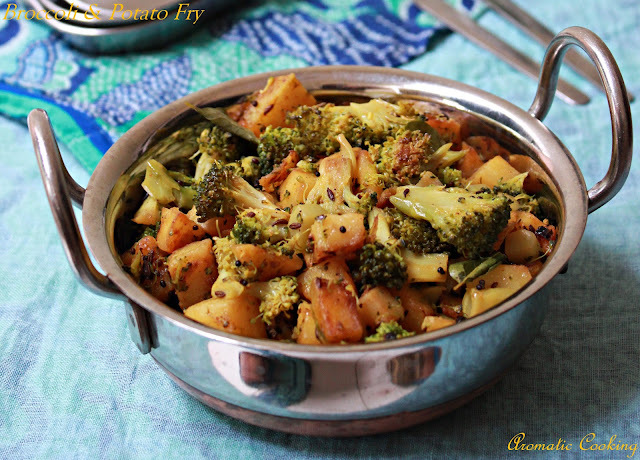 Usually it is just the potato fry or the stir-fried broccoli, thought of bringing them together in this fry with a little garlic and black pepper, the end result was really good. 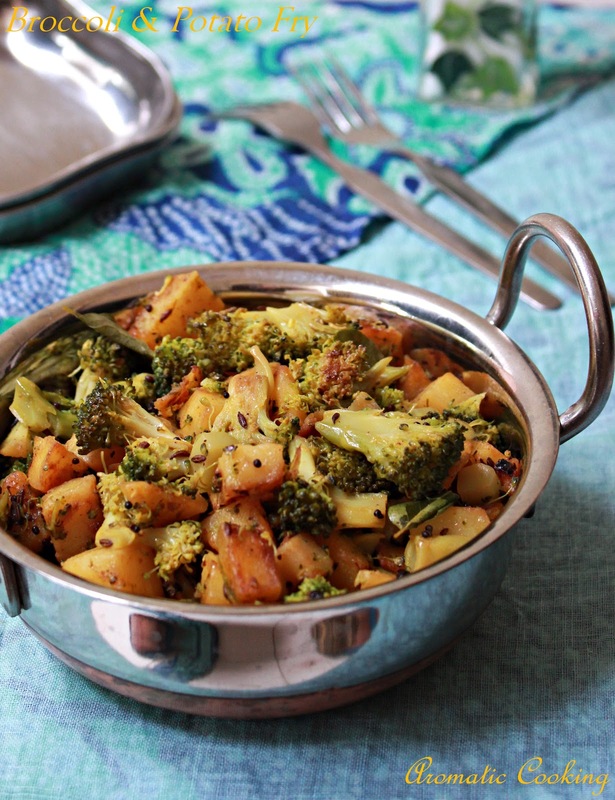 People who find it hard to swallow broccoli alone can try this combo..
Chop the potatoes with the skin. Heat oil add mustard and jeera seeds, add the potatoes, saute for a few mins, add the salt, turmeric and chilli powder, mix . Add the chopped garlic, mix and cook without covering. Cook the broccoli separately either in the microwave or stove-top. Once the potato is cooked add the broccoli and pepper powder, mix well cook for 5 more mins. Add curry leaves, mix and serve. Goes with rice, roti and dal. Don't cover when the potao is cooking, it'll become mushy. When I updated the pictures, I had used the regular potatoes, not the red ones. nice one...planning to try it today! I have broccoli, wondering what recipe to do!